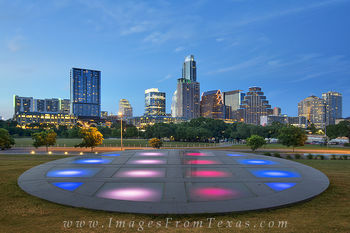 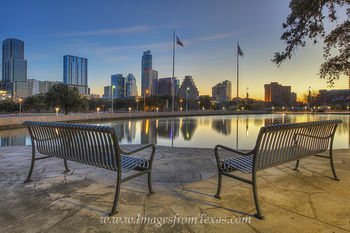 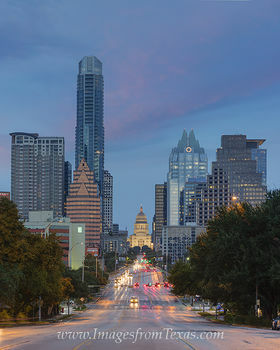 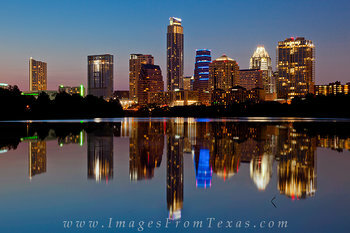 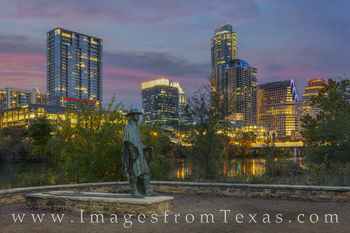 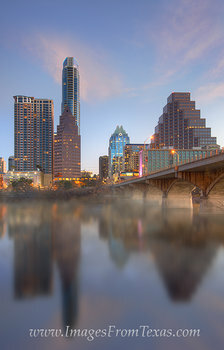 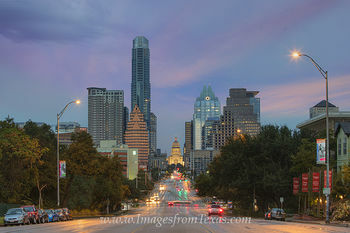 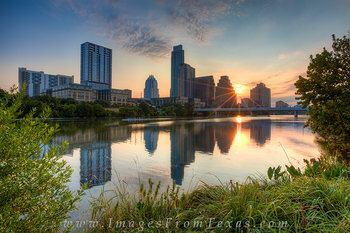 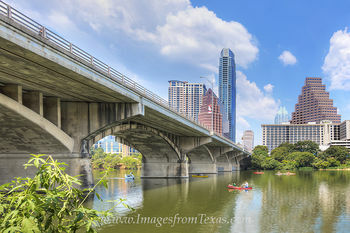 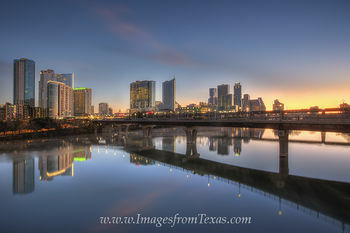 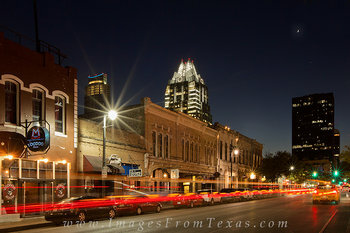 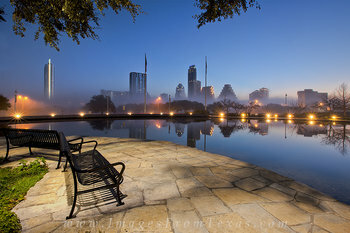 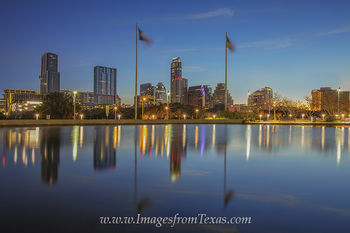 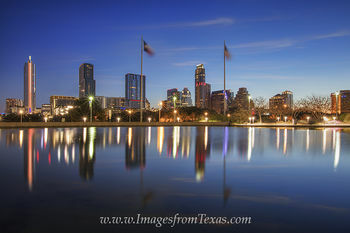 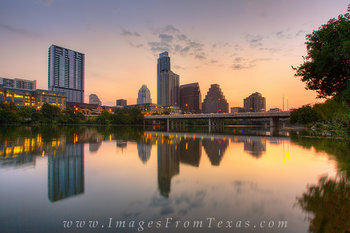 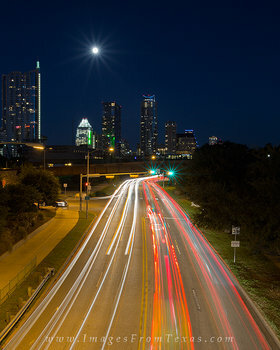 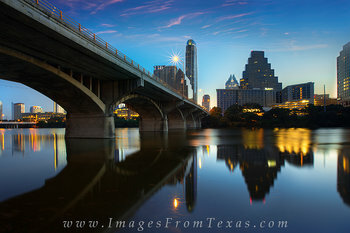 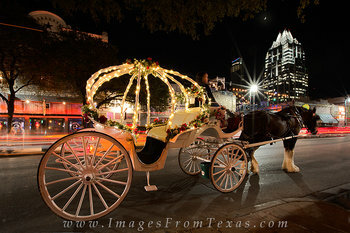 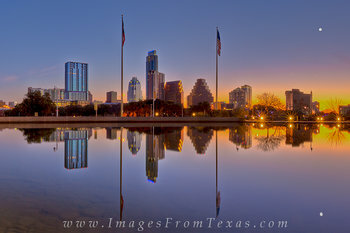 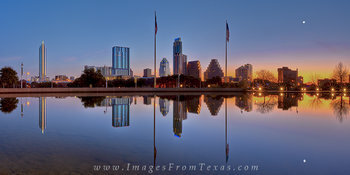 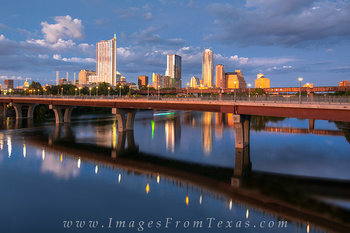 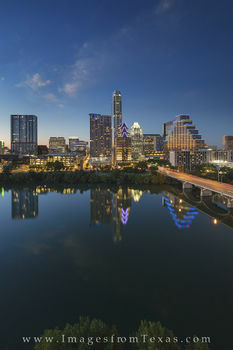 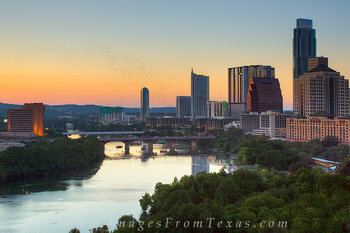 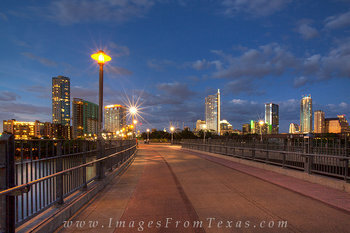 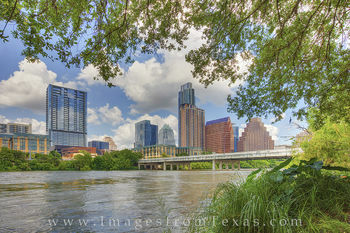 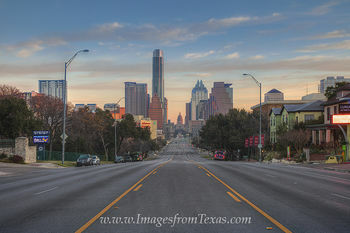 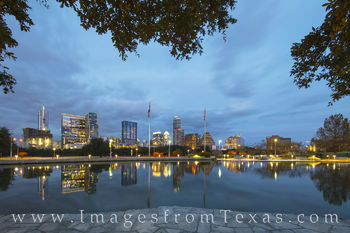 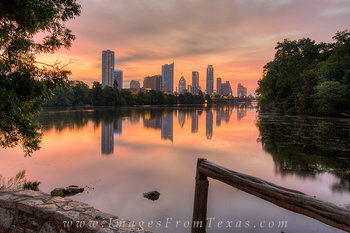 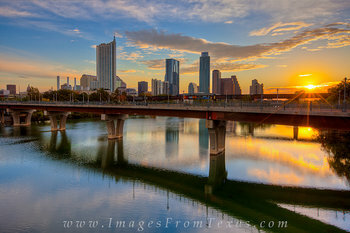 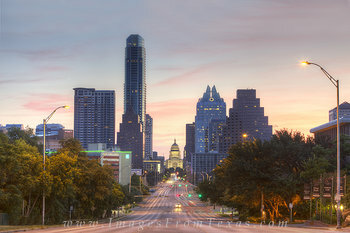 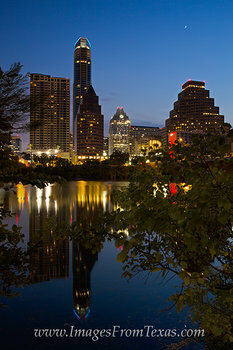 Austin, Texas, is home to over 1 million people. 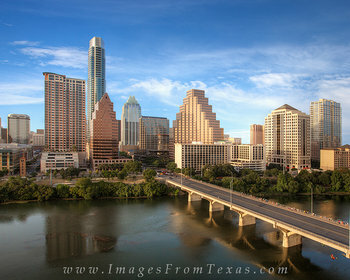 The capital city is the 11th largest in the United States. 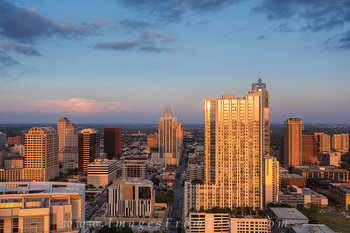 It is also one of the fastest growing areas in the country. 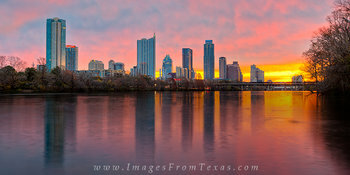 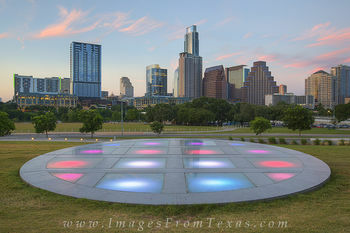 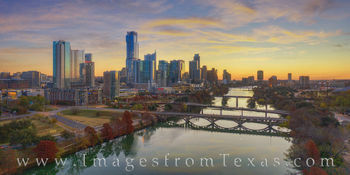 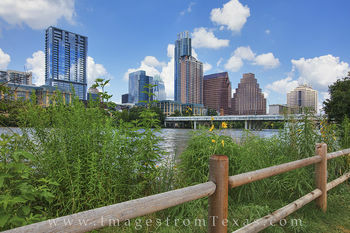 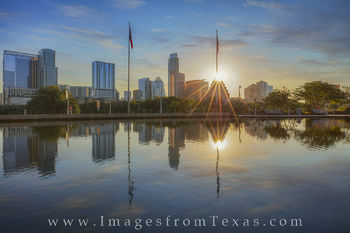 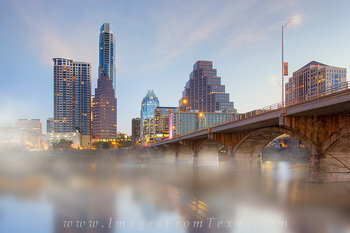 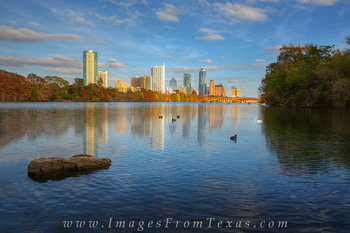 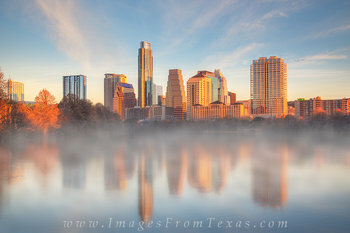 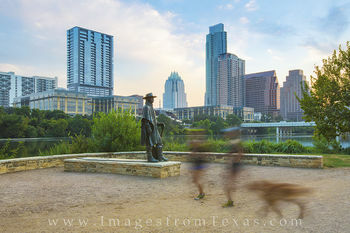 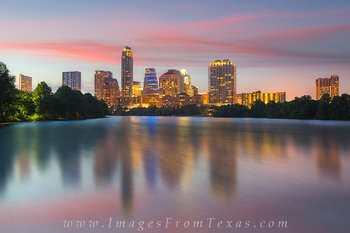 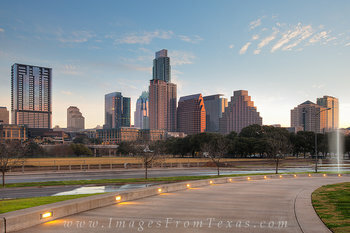 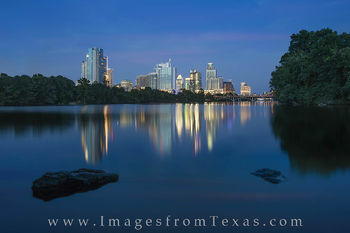 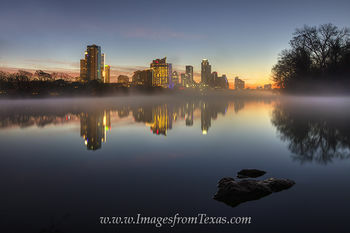 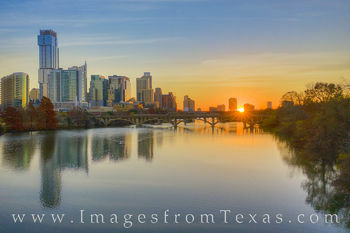 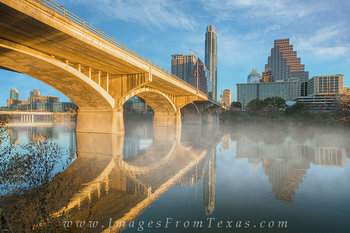 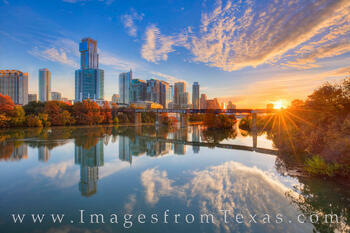 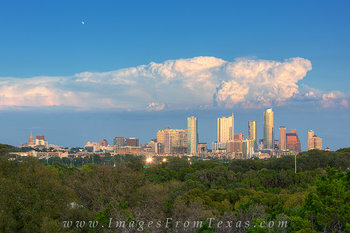 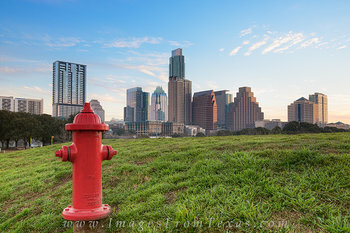 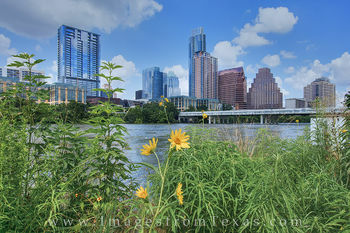 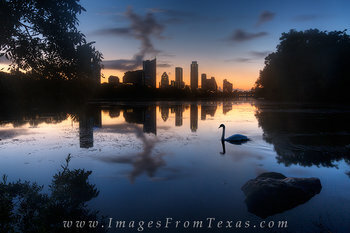 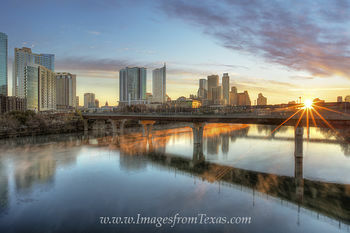 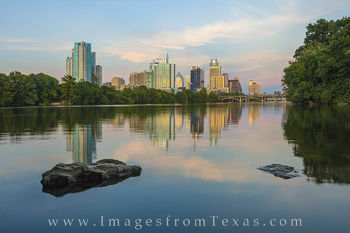 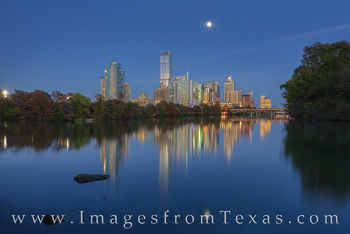 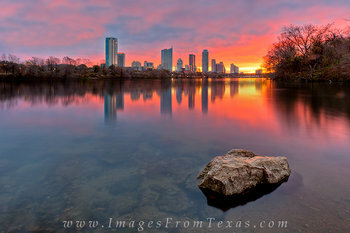 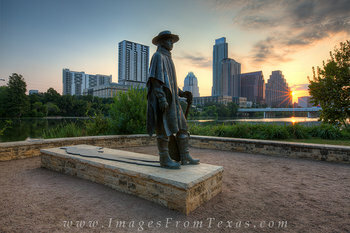 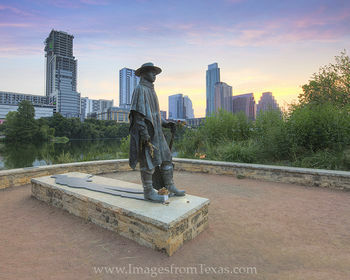 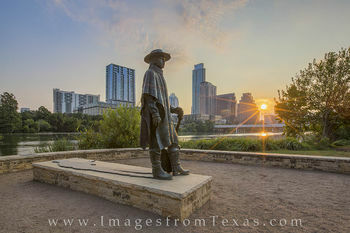 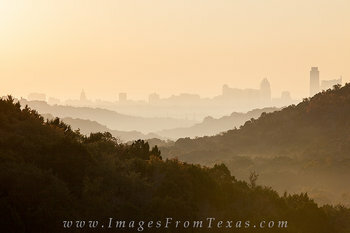 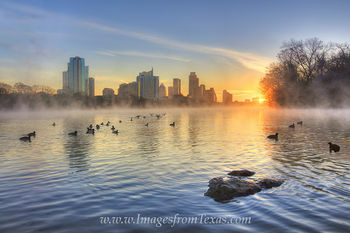 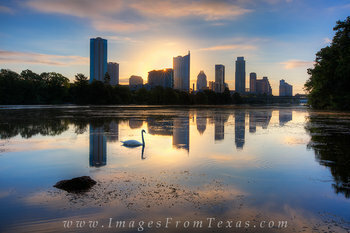 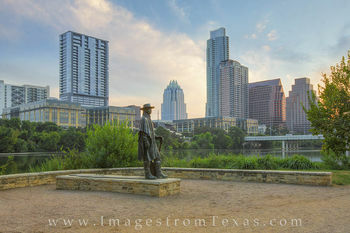 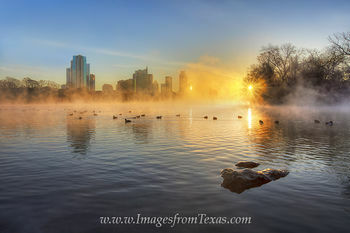 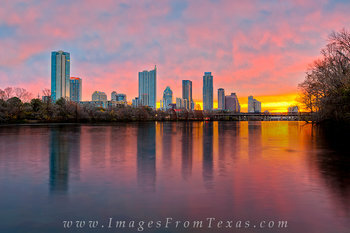 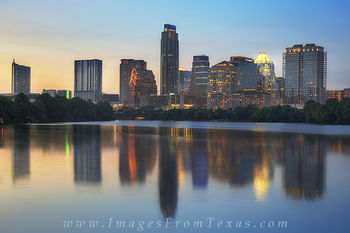 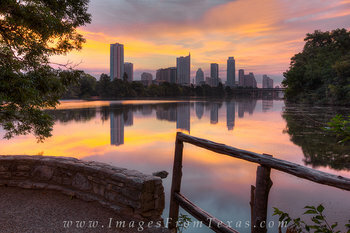 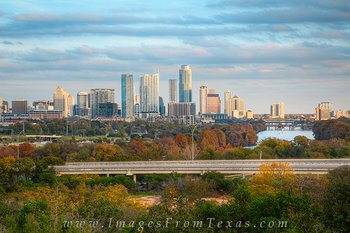 In the recent past, the Austin skyline has been fairly spread out. 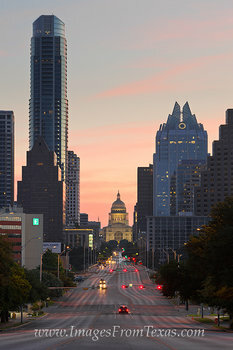 One of the restrictions for growth in the downtown area protects views of the state capitol from various vantage points, and these sight lines are called the Capitol View Corridor. 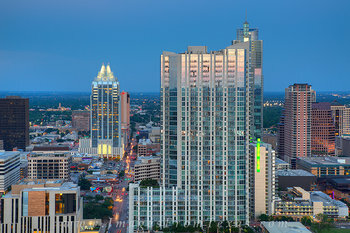 However, recently, many new highrises have been constructed. 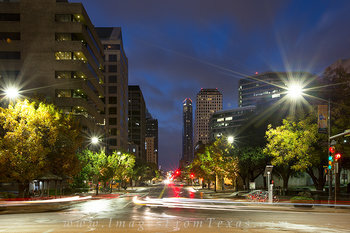 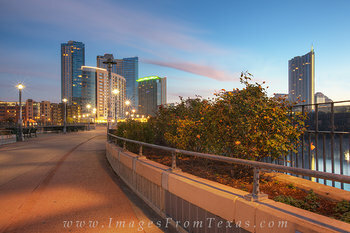 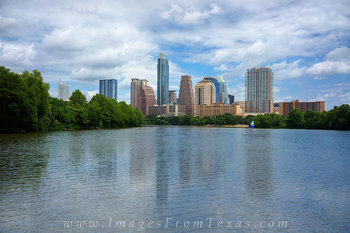 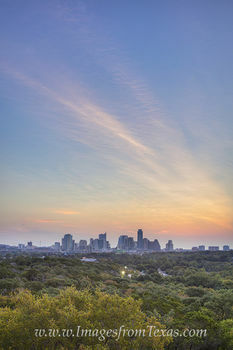 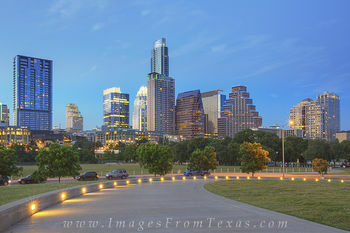 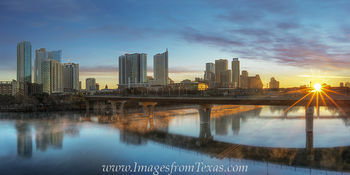 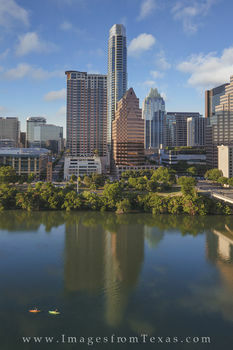 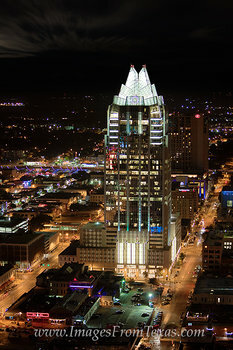 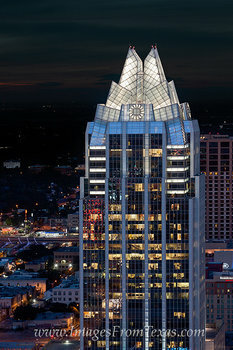 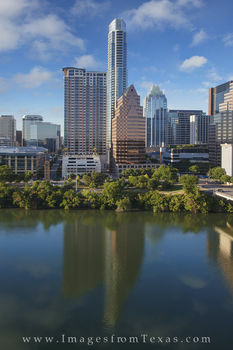 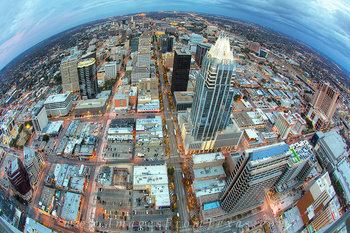 The tallest building in the Austin cityscape is the Austonian, measuring in at 683 feet and 56 stories high. 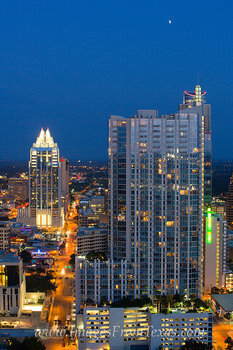 Next is the 360 Condos at 581 feet and 44 floors. 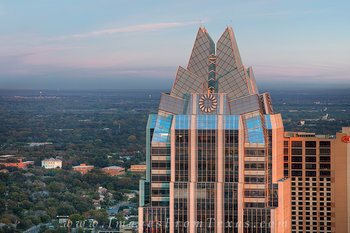 One of the most recognizable buildings in the city is the Frost Bank Tower, which comes in as the 3rd tallest at 515 feet. 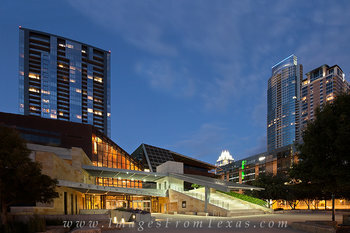 Other prominent highrises include One Congress Plaza and One American Center. 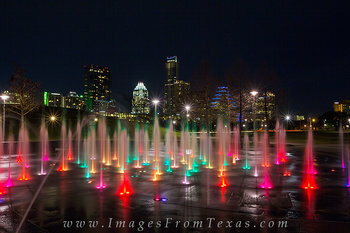 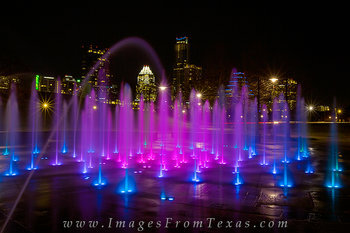 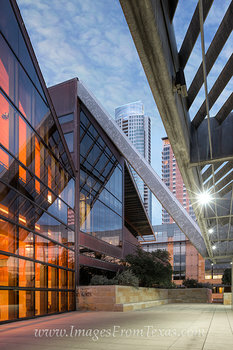 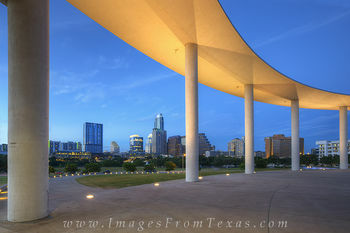 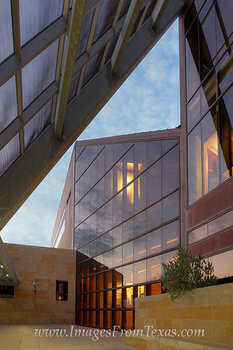 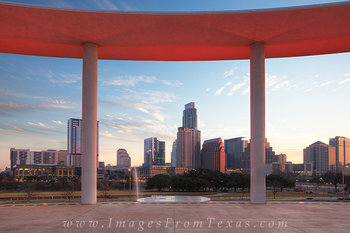 The Austin city hall has also been redesigned and displays modern architecture as it sits along the shores of Lady Bird Lake. 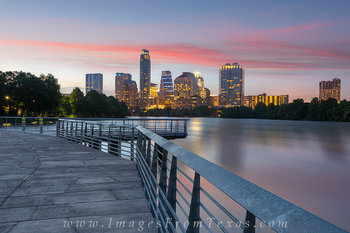 The downtown area does press up against this man-made reservoir and offers the residents of the downtown housing a place to enjoy the outdoors. 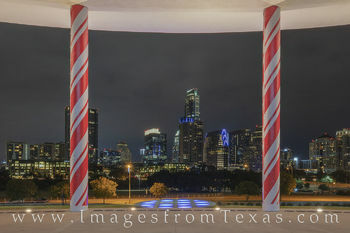 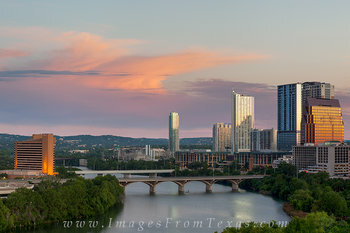 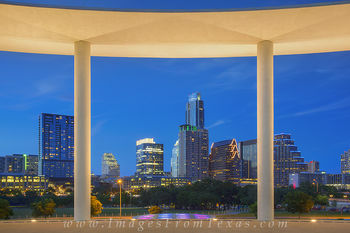 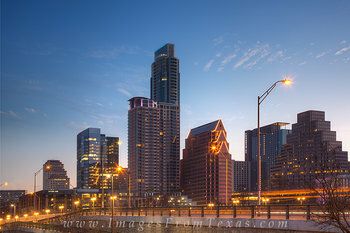 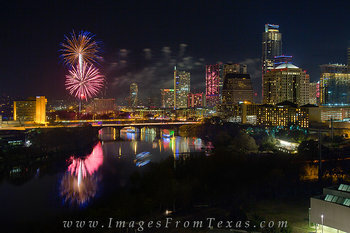 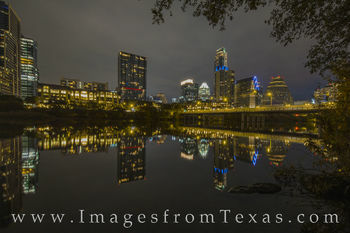 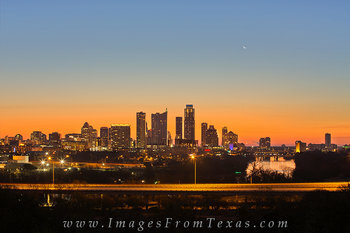 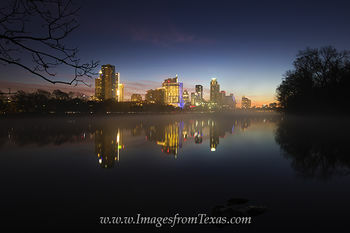 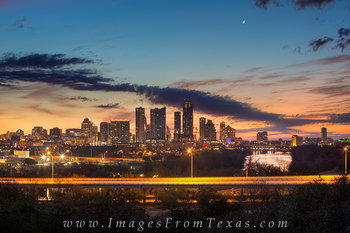 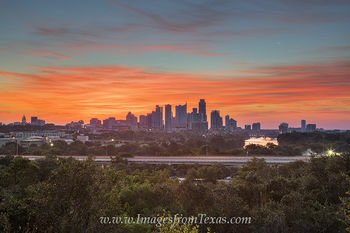 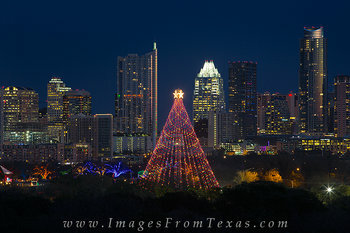 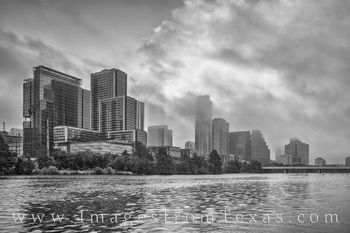 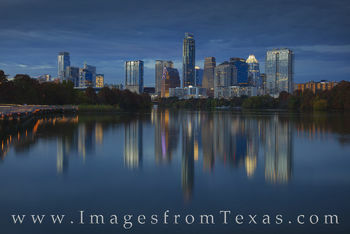 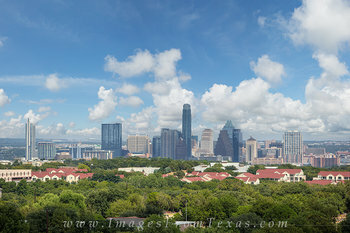 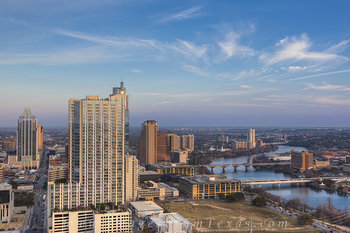 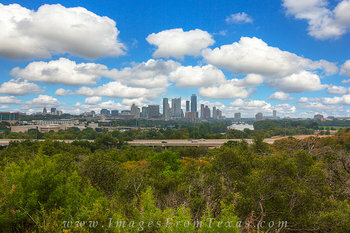 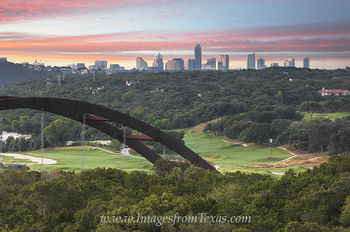 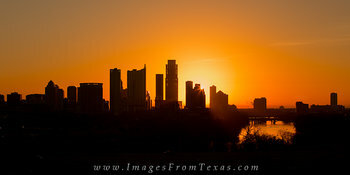 I've been fortunate to photograph this Central Texas city from many of the highrise residences, including the Austonian, the Springs Condos, the 360 Condos, the Hyatt Hotel on Lady Bird Lake, and the Milago. 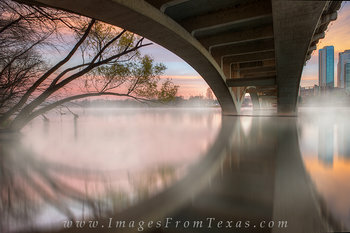 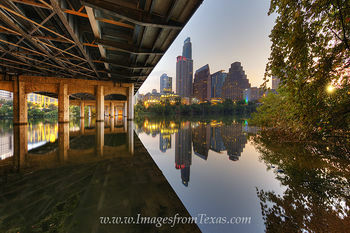 The images and panoramas from these perspectives are found in this gallery. 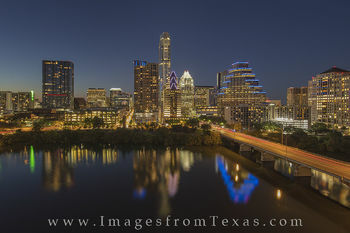 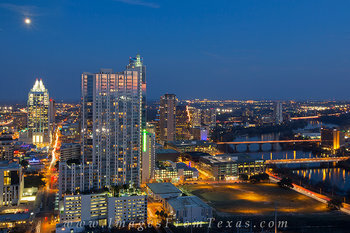 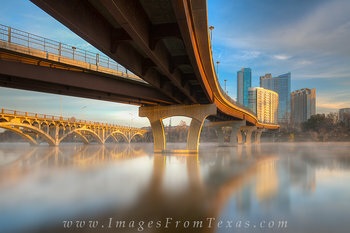 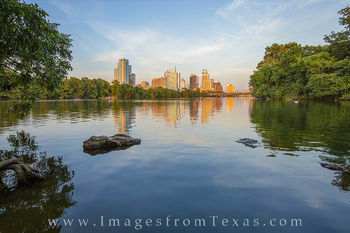 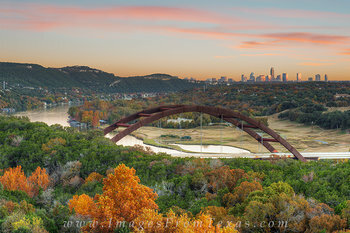 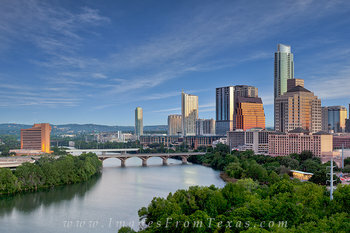 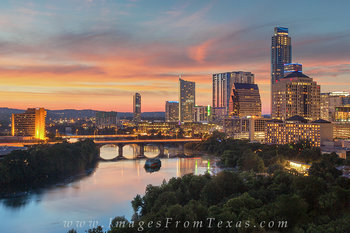 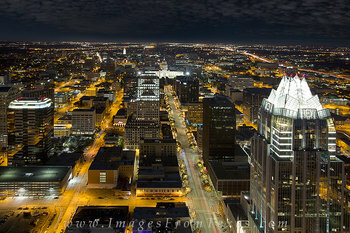 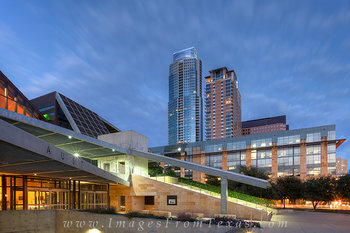 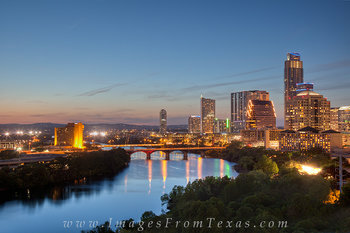 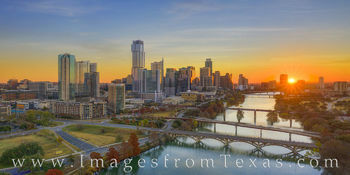 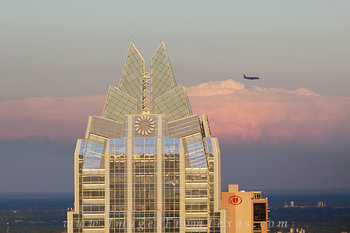 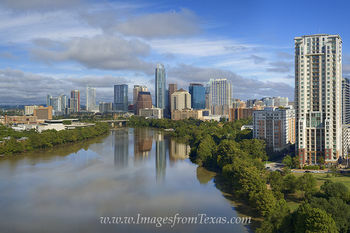 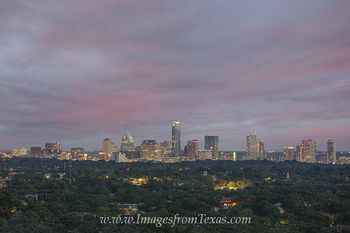 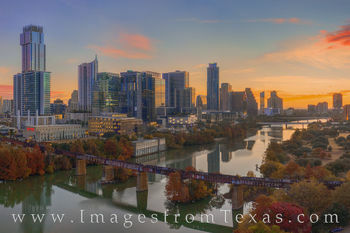 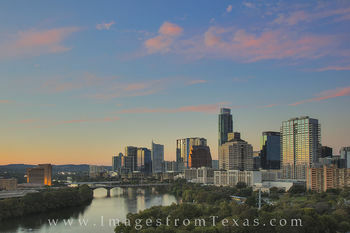 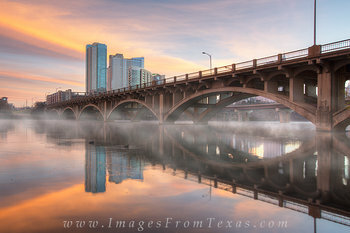 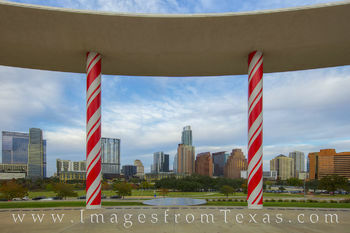 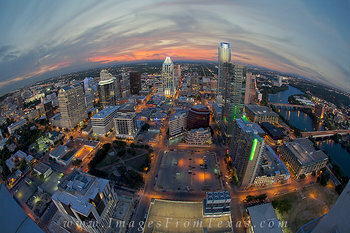 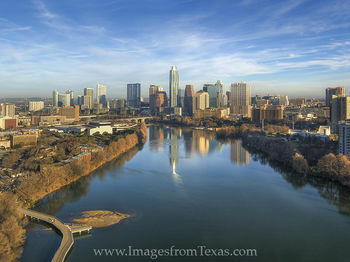 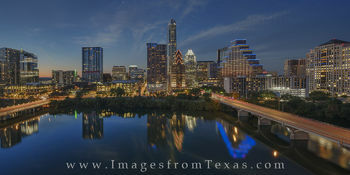 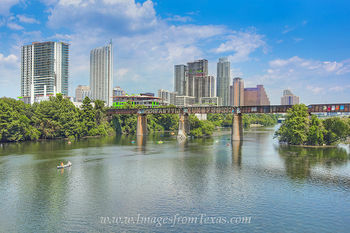 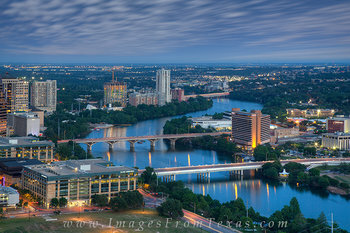 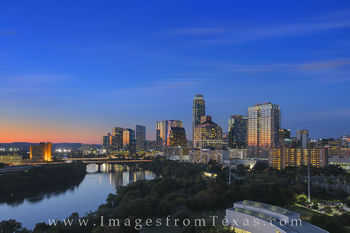 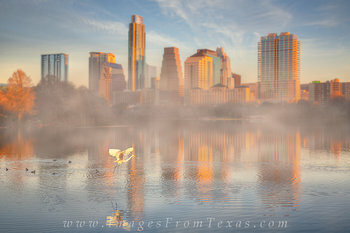 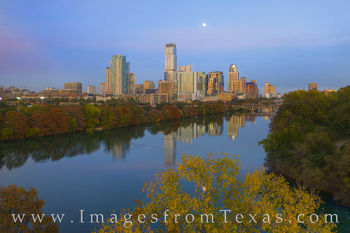 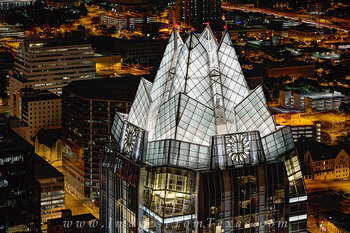 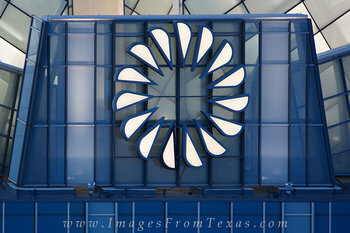 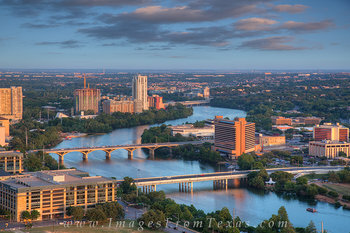 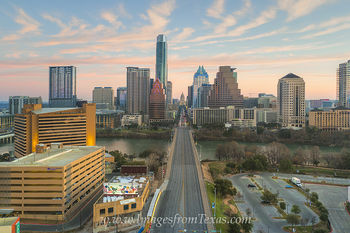 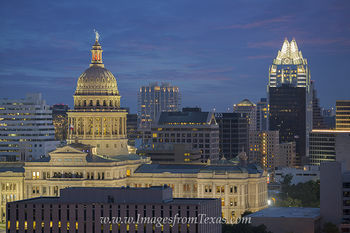 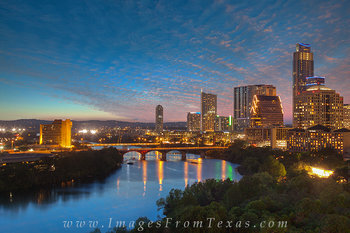 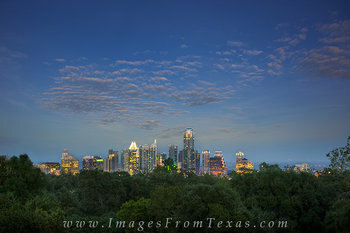 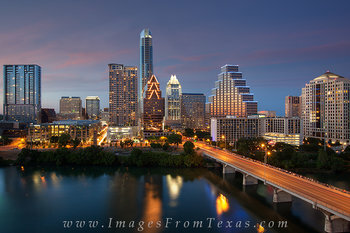 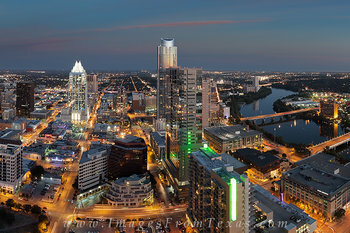 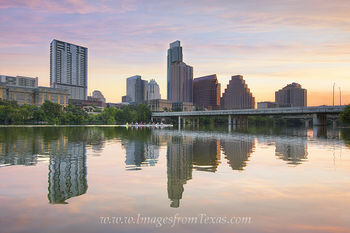 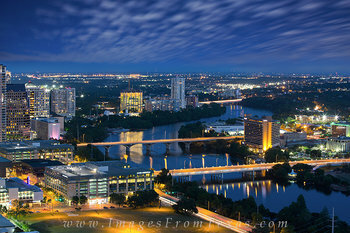 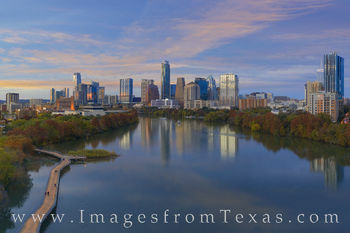 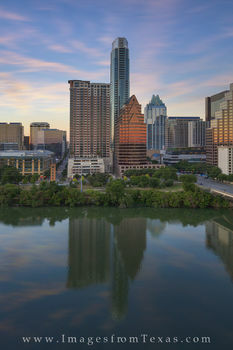 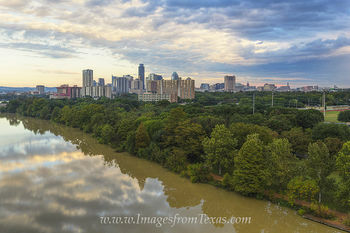 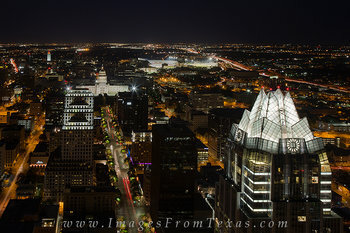 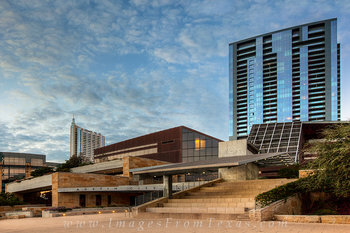 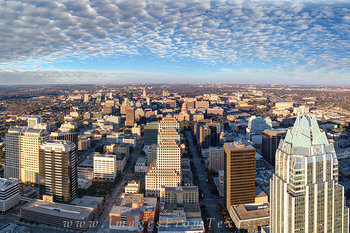 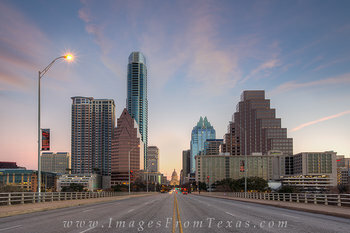 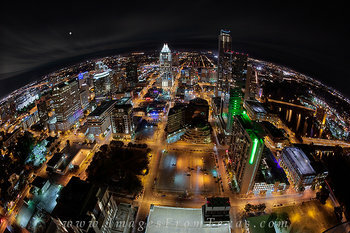 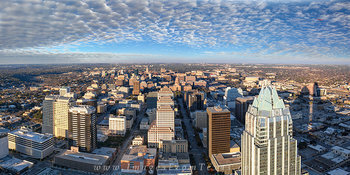 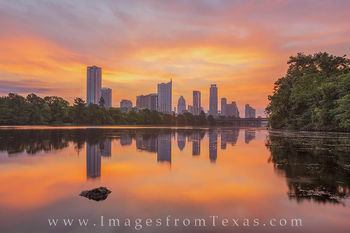 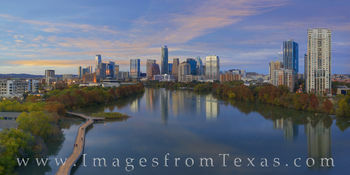 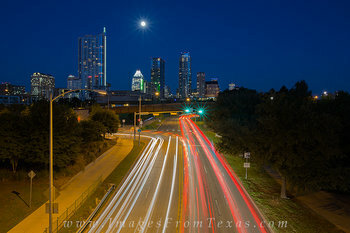 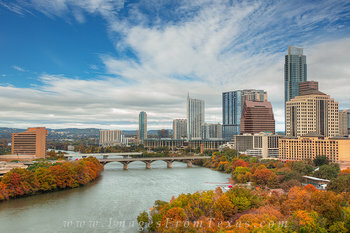 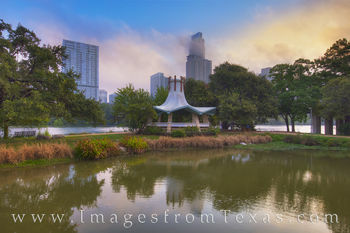 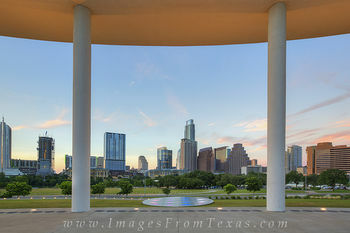 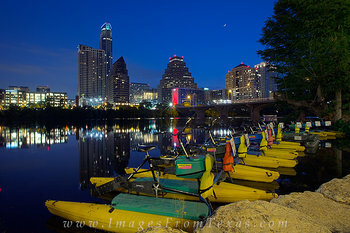 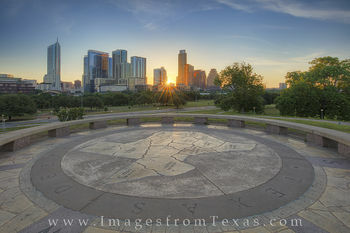 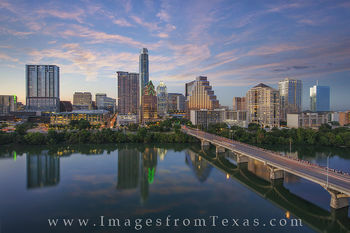 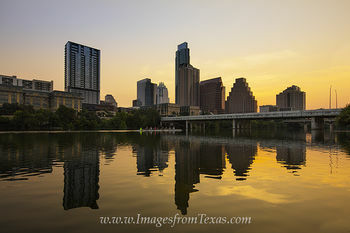 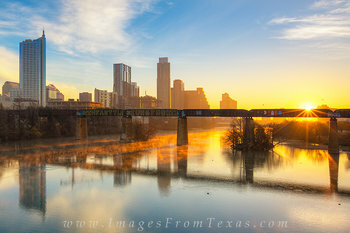 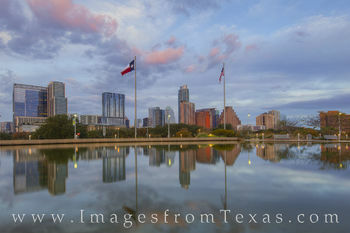 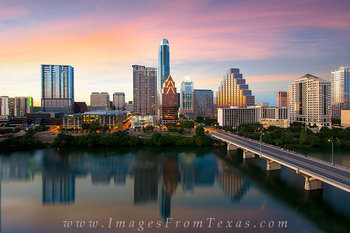 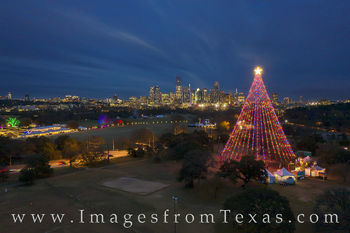 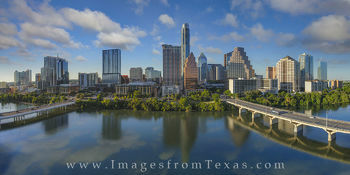 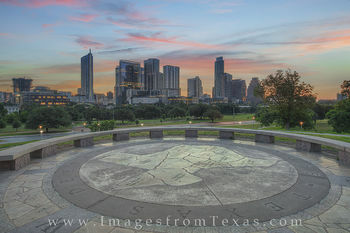 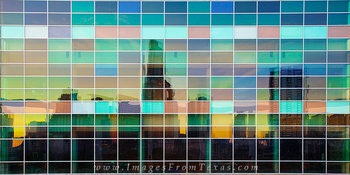 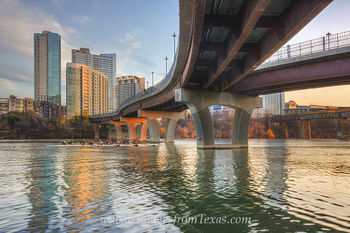 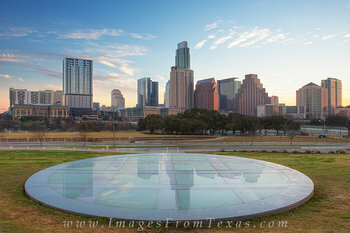 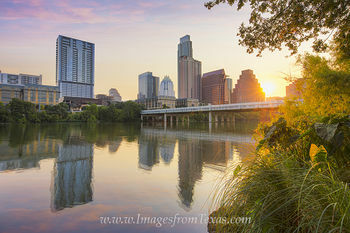 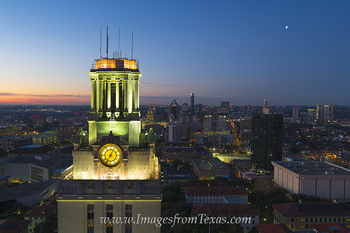 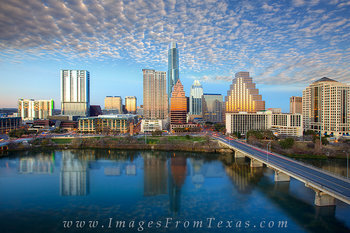 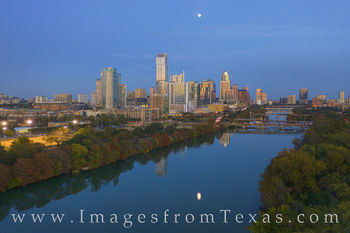 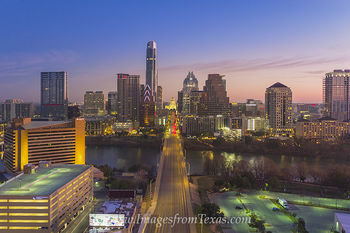 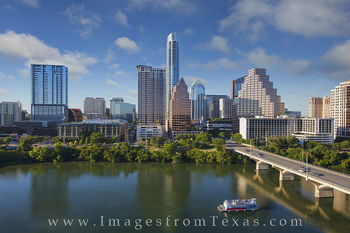 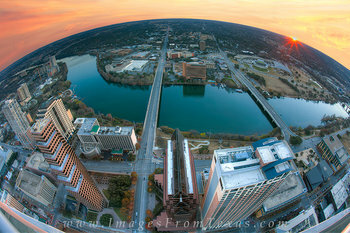 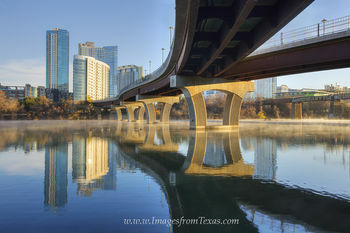 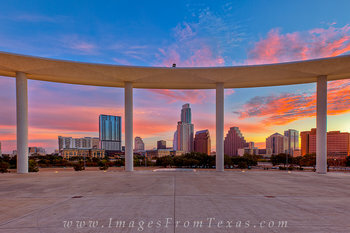 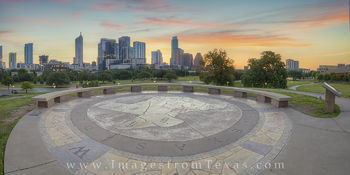 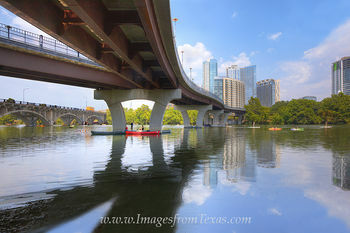 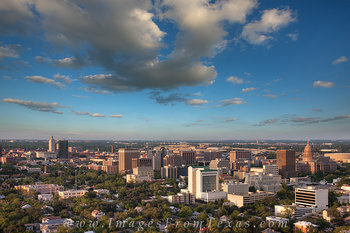 For another unique perspective of the downtown area, please visit my Aerial Images of Austin Gallery.